President Trump gestures to reporters as he meets with North Korea's leader Kim Jong Un at the start of the U.S.-North Korea summit in Singapore on Tuesday. 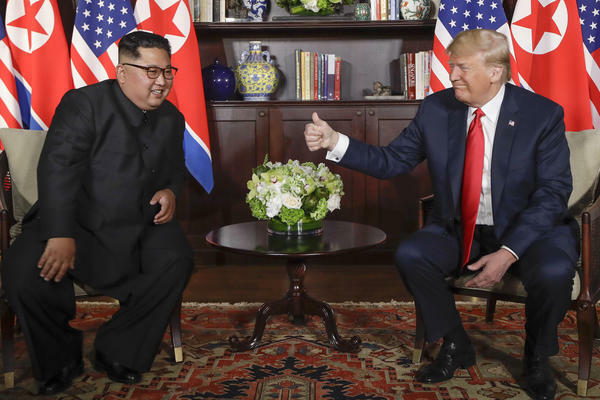 After shaking hands with Kim Jong Un Tuesday morning, President Trump said, "I feel really great. It's going to be a great discussion and I think tremendous success. I think it's going to be really successful and I think we will have a terrific relationship. I have no doubt." President Trump gives North Korean leader Kim Jong Un a thumbs up at their meeting. President Trump and Kim Jong Un after their meeting. 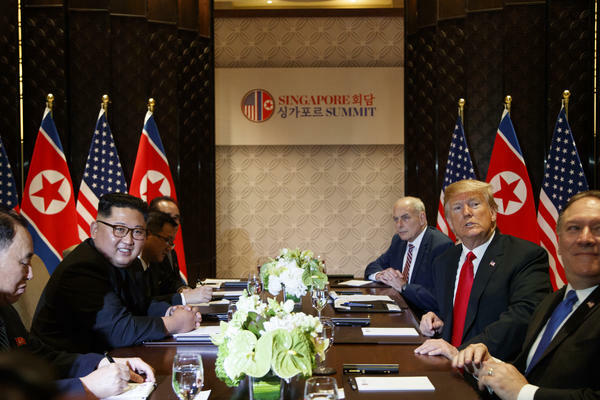 A joint statement affirms commitment to "denuclearization of the Korean Peninsula," but it's unclear what specific steps North Korea is willing to take to get there. 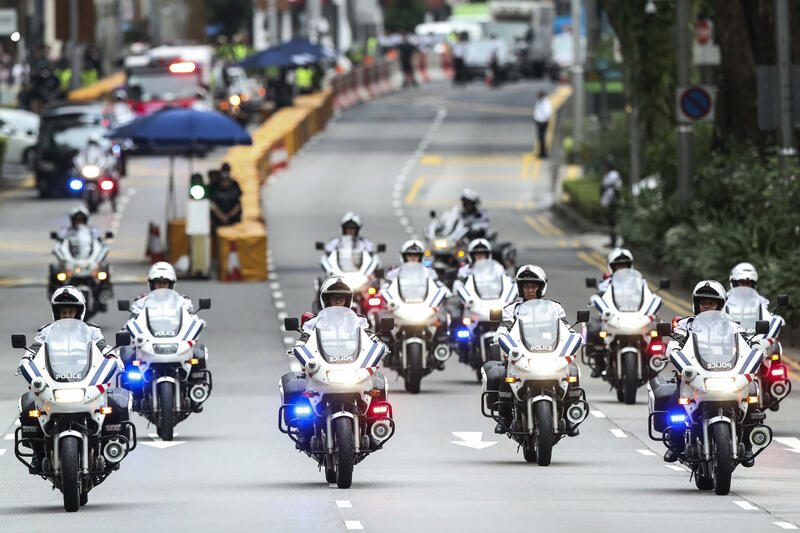 Police officers lead a motorcade for North Korean leader Kim Jong Un on the way to Singapore's Capella Hotel, the summit site. Following a 38-minute one-on-one meeting, Kim and Trump proceeded to the expanded bilateral meeting with national security adviser John Bolton, Secretary of State Mike Pompeo and chief of staff John Kelly on one side and North Korea's Vice Chairman Kim Yong Chol, Foreign Minister Ri Yong Ho and former Foreign Minister Ri Su Yong on the other. 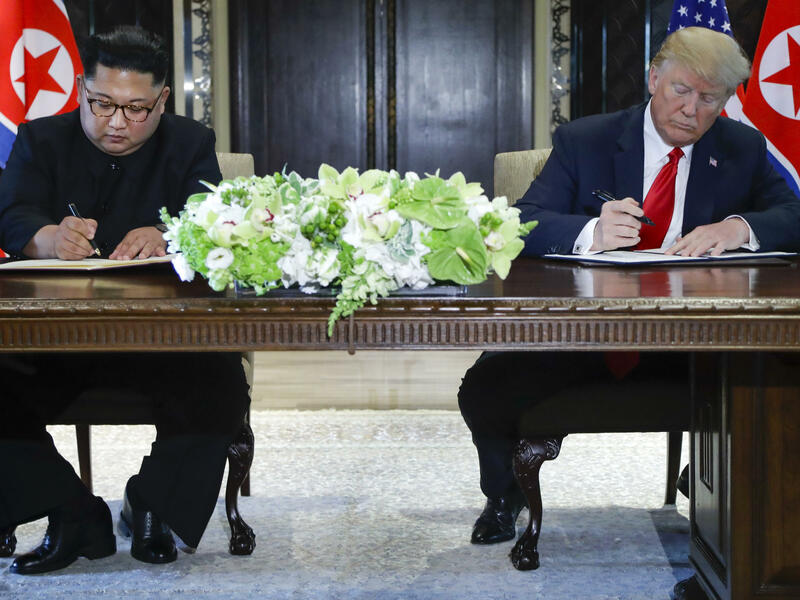 Kim Jong Un and President Trump at the signing ceremony after their meetings in Singapore. 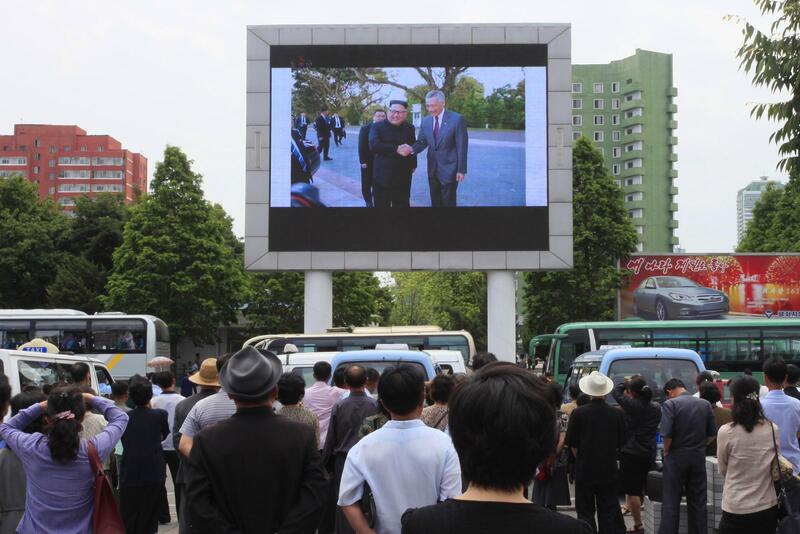 President Trump and Kim Jong Un stroll after lunch on Tuesday. 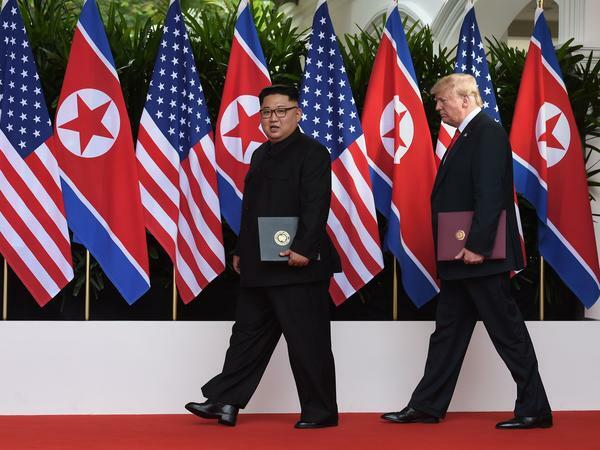 President Trump and North Korean leader Kim Jong Un carry their documents after the signing ceremony at the end of their summit. 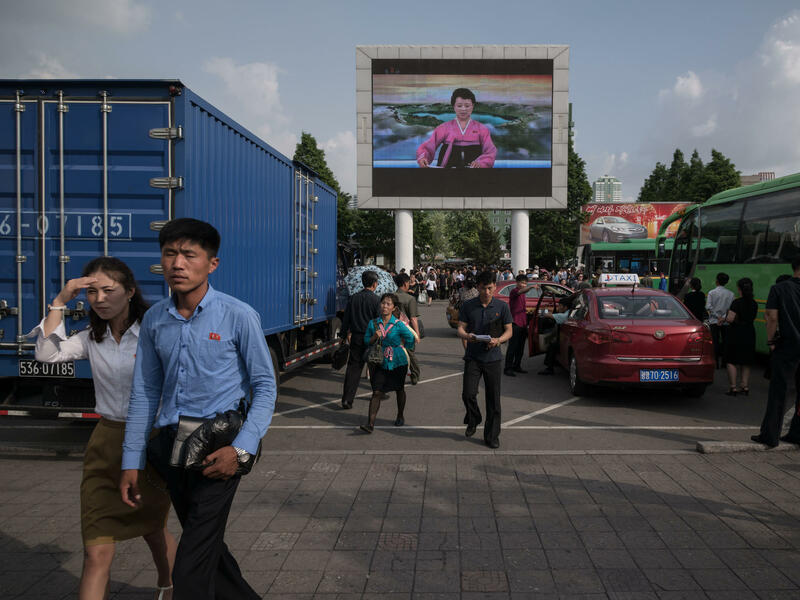 North Korean news reader Ri Chun Hee is diplayed on a large television screen in Pyongyang on Tuesday. The news bulletin highlighted the trip to Singapore by North Korean leader Kim Jong Un, but not his meeting with President Trump. 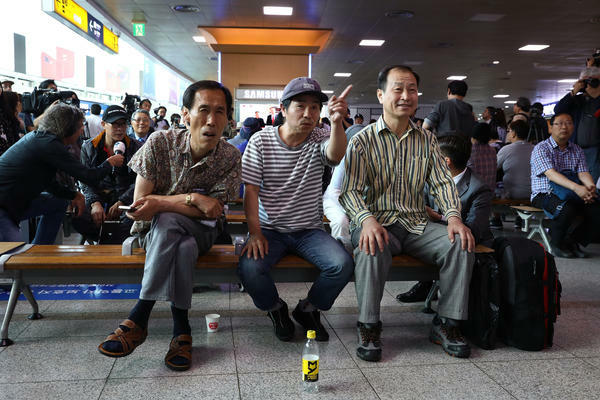 South Koreans gather at the Seoul Railway Station to watch Trump meeting with Kim. 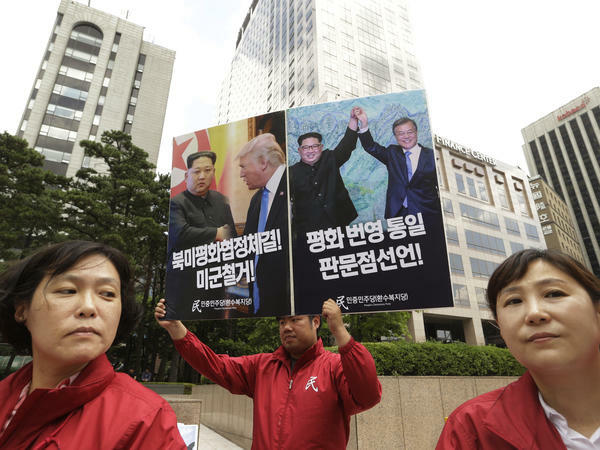 An activist holds up a banner showing photos of President Trump, North Korean leader Kim Jong Un and South Korean President Moon Jae-in, during a rally for peace at the Singapore Embassy in Seoul on Tuesday. The signs read: "Peace treaty." 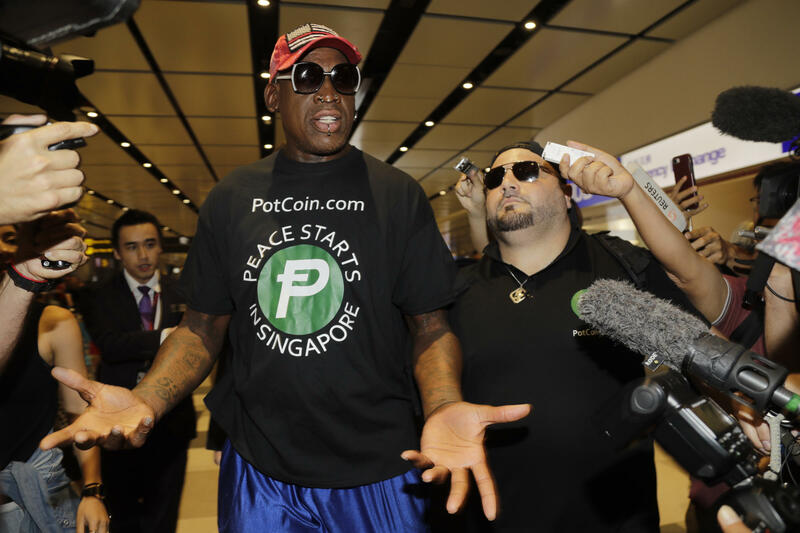 Former NBA basketball player Dennis Rodman and his agent Chris Volo arrive at Singapore's Changi Airport on Tuesday. 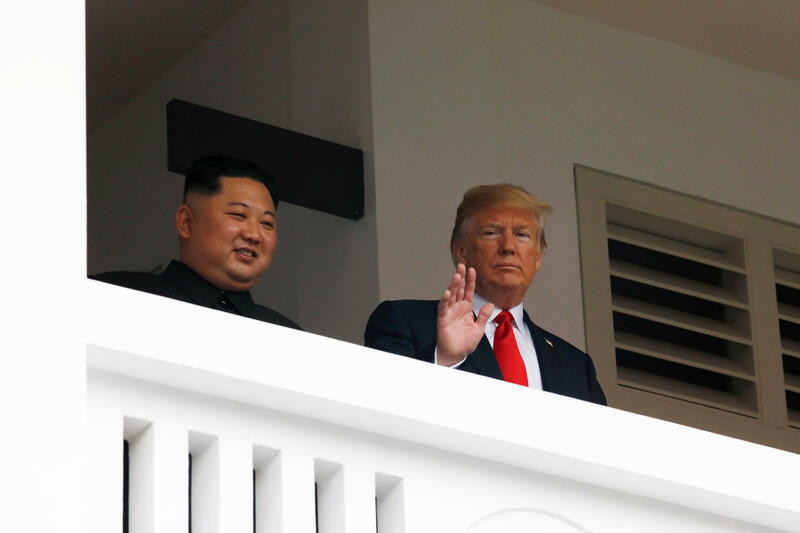 Rodman has met both President Trump and Kim Jong Un and suggested as far back as 2014 that the two men should meet one another. "It's a great day," he told CNN. "I am here to see it. I'm so happy." 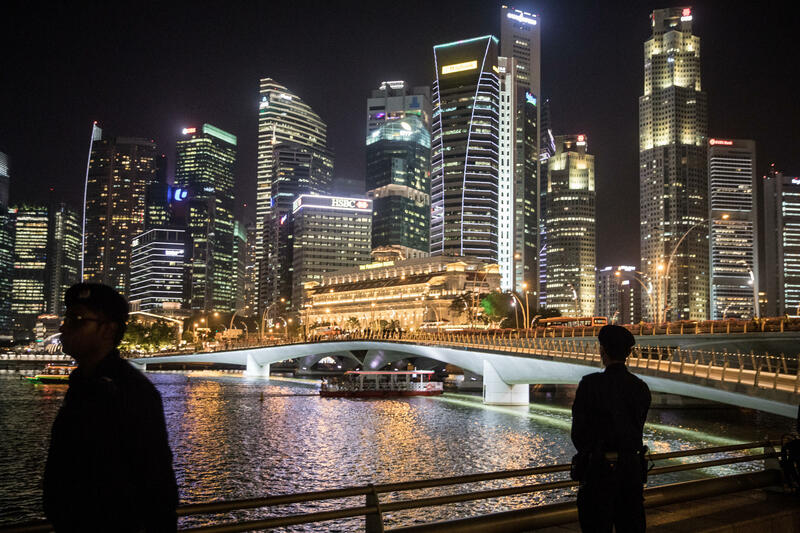 Kim Jong Un toured parts of Singapore the night before the summit. 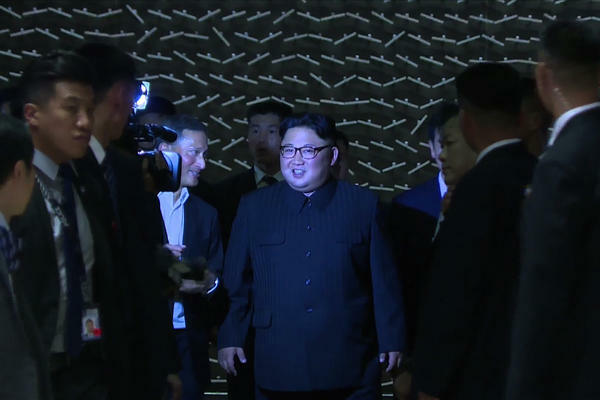 A video grab from Monday shows the North Korean leader arriving before his tour of the Sands Sky Park at the Marina Bay Sands Hotel on Monday. North Koreans watch a large screen at the main train station in Pyongyang showing video of Kim Jong Un being greeted by Singapore Prime Minister Lee Hsien Loong on Monday. 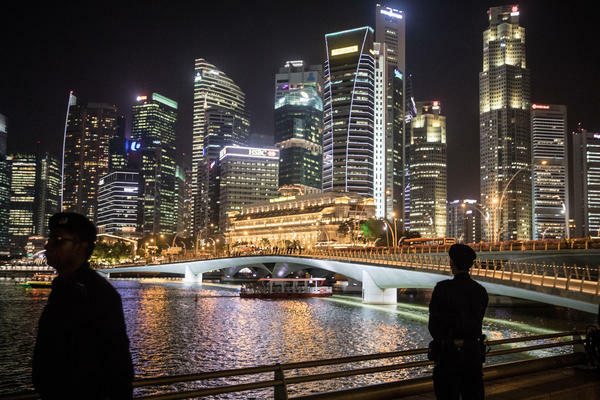 Singapore police officers stand guard ahead of North Korean leader Kim Jong Un's walk on the Jubilee Bridge during his sightseeing tour on Monday in Singapore. 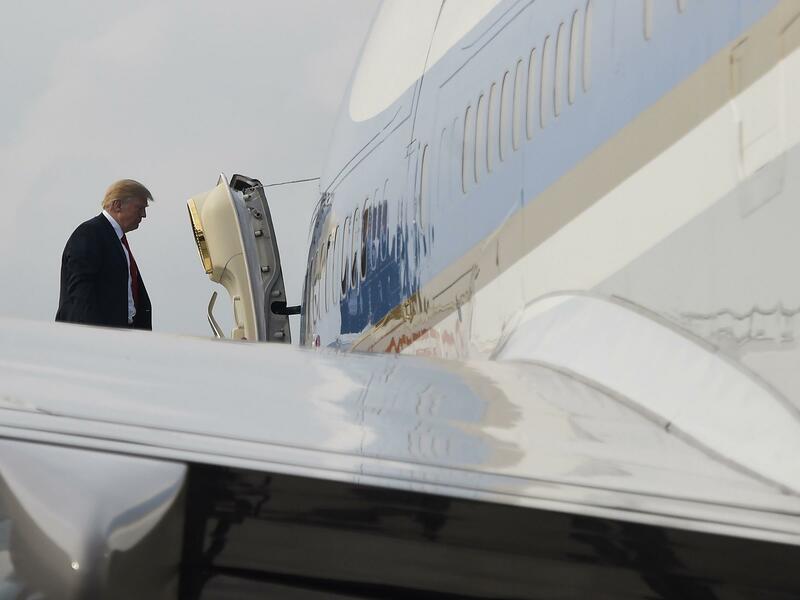 After the summit, President Trump boards Air Force One to return to Washington on Tuesday. 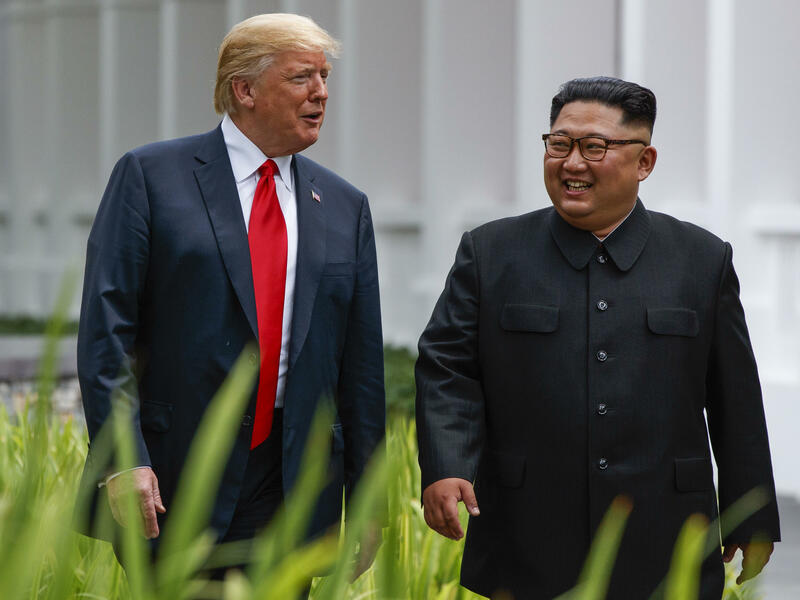 "Well, it was not easy to get here," Kim said. "Old prejudices and practices worked as obstacles on our way forward. But we overcame all of them, and we are here today." The two leaders first sat down for a private meeting, followed by another with their advisers. 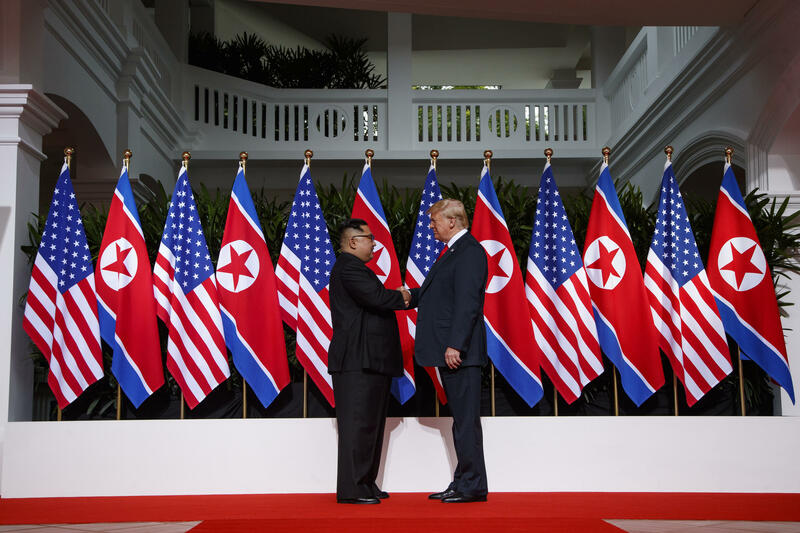 In the afternoon, they signed a brief statement calling for peace, committing to recover the remains of U.S. service members from the Korean War and asserting a "firm and unwavering commitment to complete denuclearization of the Korean peninsula." The subject of North Korea's human rights abuses was not mentioned, and President Trump also announced that the U.S. would stop its longstanding joint military exercises with South Korea, which he called "very provocative." 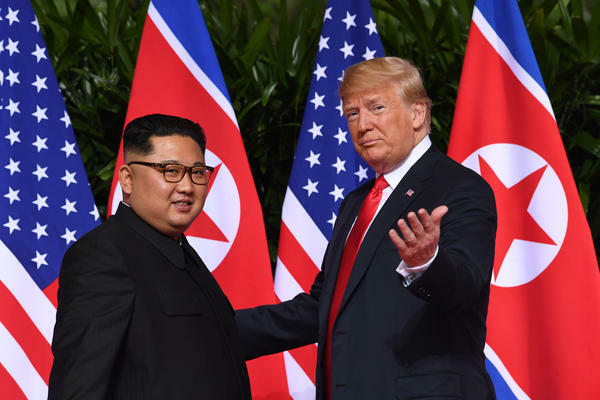 As the day wrapped up, the president told reporters, "We have developed a very special bond." But, he acknowledged, "Today is the beginning of an arduous process."